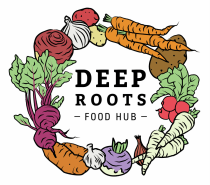 The Deep Roots Food Hub is building a community root cellar in West Carleton where local, small-scale farmers can rent space to store their crops. This will provide farmers with a sustainable, energy-efficient and time-tested storage solution opening up year-round sales opportunities. Lack of off-season storage restricts local farmers to planting crops that are distributed immediately upon harvest. The community root cellar may be the first of its kind in Canada to address this significant obstacle to food security. By incorporating a flexible modular design able to store various crops under optimum storage conditions year round the root cellar is a heritage solution to a modern agricultural problem. Building a sustainable, low cost storage facility not only opens new markets for small-scale farmers but will also provide West Carleton residents access to previously unavailable local produce during the winter months. A root cellar was a common piece of infrastructure a century ago and was a critical component in the food storage chain before the advent of modern refrigeration. It is a simple structure consisting of a subterranean chamber that uses the thermal mass of the earth surrounding it to maintain a constant interior temperature. Placing the entire structure below the frost line prevents the freeze/thaw cycle that would otherwise destroy sensitive storage crops. Using this free geothermal energy means that no electrical heating or cooling is required and there are no moving parts to maintain leading to very low operational costs.